UNICEF is stepping in to help children and families in Indonesia affected by the recent 7.4 magnitude earthquake in Sulawesi, which triggered a tsunami and contributed to the eruption of the North Sulawesi volcano Mount Soputan. Learn what you can do to help. UPDATE: A volcano erupted on North Sulawesi on October 3, spewing a massive column of ash nearly 20,000 feet into the sky. A government volcanologist said it's possible that the eruption of Mount Soputan, one of the most active volcanoes on the central Indonesian island, was accelerated by Friday's magnitude 7.5 earthquake. No evacuations have been ordered and no injuries or deaths have been reported. 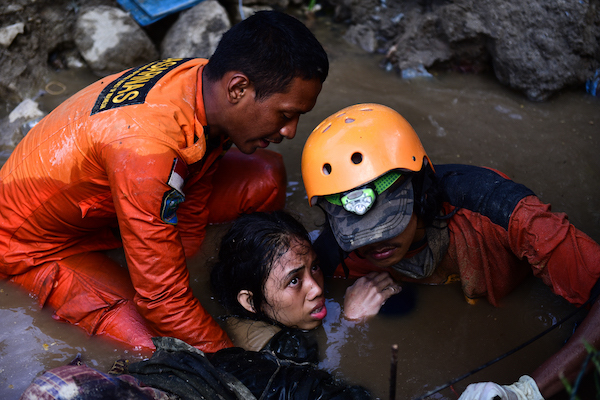 It took almost 48 hours, but rescuers finally freed Nurul Istikhoroh from the cold, wet, dark place she used to call home. Since the earthquake and tsunami that struck the Indonesian island of Sulawesi on Friday, the 15-year-old had been wedged, submerged in water, unable to escape. As mass graves are being dug to inter the more than 1,400 dead after a 7.4 magnitude earthquake hit Sulawesi, rescuers are hard at work trying to free people still trapped in the rubble. But with lack of heavy equipment hampering efforts to reach people who are trapped in collapsed buildings, the fatalities are expected to rise in the coming days. The most devastating earthquake to hit Indonesia since 2004, Friday's seismic disaster caused some 170 aftershocks — and a tsunami, which sent waves as high as 20 feet surging across the islands, toppling homes, hotels, shopping malls and mosques. The devastation comes on the heels of a series of deadly earthquakes that struck the island of Lombok just last month, killing more than 500 people. UNICEF, now on the ground rushing to victims' aid, expects the humanitarian impact of Friday's earthquake on Sulawesi to be even more significant. 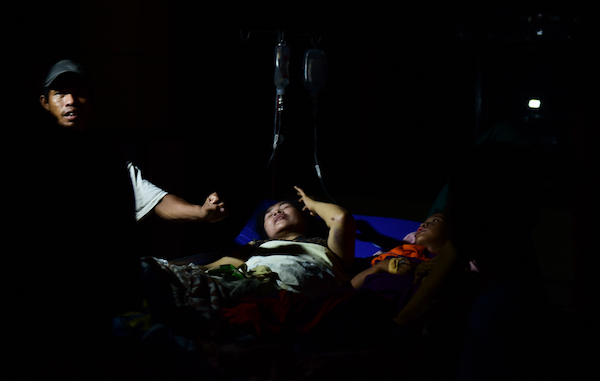 So far, the assessment of the human toll issued by the Indonesian Disaster Management Agency spokesman Sutopo Purwo Nugroho bears that out: Thousands have been injured and more than 70,000 displaced. Almost 200,000 people need urgent help. Food and water supplies for survivors are running low. Drawing from its experience responding to the tsunami of 2004, which killed nearly 226,000 across the Indian Ocean — including 120,000 in Indonesia — UNICEF is doing everything it can to help the families of Palu, Donggala and other affected sites in Sulawesi. But the needs are increasing and urgent, especially for children. UNICEF is on the ground, helping families, but the needs are increasing and urgent, especially for children. "Many children have lost their loved ones and all things familiar in their lives, and will need help to get back to some sense of normality as quickly as possible," UNICEF Indonesia's Amanda Bissex explains. "In the aftermath of the deadly disaster, we’re working with authorities to reunite unaccompanied and separated children with their families, support infant and young child feeding, provide clean water through mobile water treatment and help children recover." 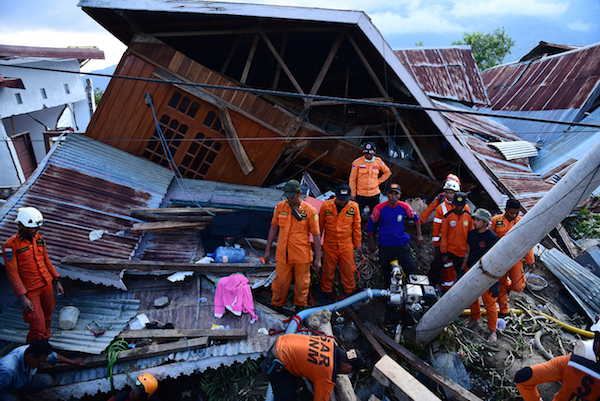 "Children in Palu, Donggala and other affected areas in Sulawesi need urgent help," says Bissex. Last year alone, UNICEF responded to 337 humanitarian emergencies — from conflicts to natural disasters — in 102 countries. With more than 13,000 staff worldwide and 350 warehouses globally, UNICEF is uniquely poised to step up where help is needed most and work with local partners to deliver urgently needed supplies like safe drinking water, hygiene sanitation kits and medicines. Trained staff offer psychosocial support and educational materials to get children back to learning and playing — and just being kids again — as soon as possible. Please help UNICEF's emergency response efforts.